You’re working hard towards your dream Quant score. Achieving your dream score largely depends on two factors Clarity of Concepts and Methodical Application of these concepts. 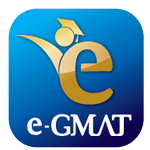 To help you improve these skills, e-GMAT Experts have created a brand new Question Marathon which consists of 24 Number Properties questions with a mix of easy, medium and hard questions. ii)	Post your analysis/doubts in the same thread. That is not all! We have more free goodies lined up for you – Register here for our FREE TRIAL to get more than 400+ questions, 25+ Video lessons and 6+ Free Webinars on key concepts tested on GMAT. So, get started with the marathon right away. Wish you all the very best for the Marathon!